we are manufacturers of floating fountains size vary from 2 ft to 10 ft dia floats, so the cost varies according to configuration and type of floating fountains. cost range varies from 50, 000 onwards, supplied with compact fibre float/pump/led lights/nozzles etc. very easy to install.just reassemble and put into a water pond. 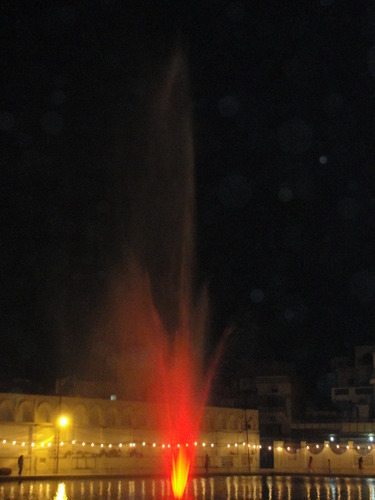 we are manufacturers of floating fountains size vary from 2 ft to 10 ft dia floats, so the cost varies according to configuration and type of floating fountains. cost range varies from 50,000 onwards, supplied with compact fibre float/pump/led lights/nozzles etc.